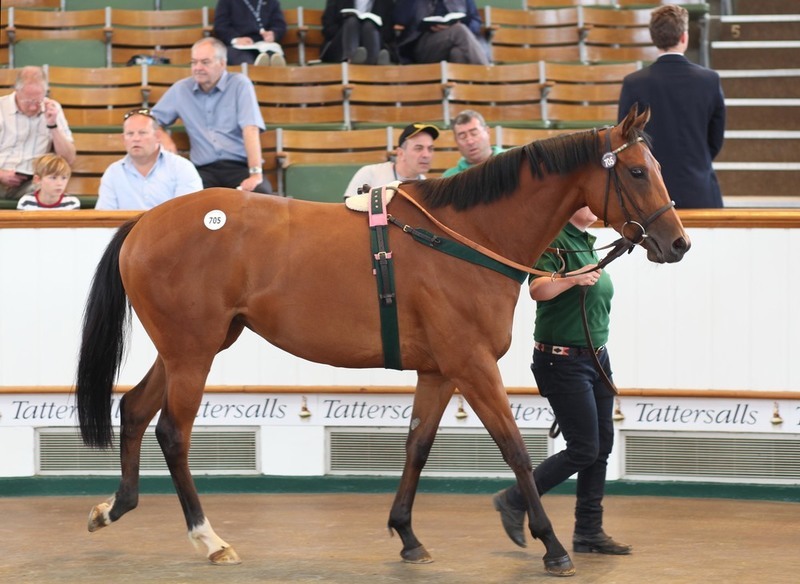 The final day of the Tattersalls July Sale, which starts at 9.30pm and breaks for racing, features the anticipated draft of fillies from Juddmonte Farms as well as Arab Spring, the John Porter and September Stakes winner who is sold as part of the Ballymacoll Stud dispersal as lot 826. The undoubted highlight on paper of the Juddmonte draft was this filly, an unraced Oasis Dream half-sister to Grand Prix de Paris winner Zambezi Sun and Prix Guillaume d'Ornano winner Kalabar. Cathy Grassick and Johnny McKeever went head to head on the filly and for a moment it looked as though Grassick had won the battle, only for Saeed Manana to enter the fray with a winning bid of 150,000gns. 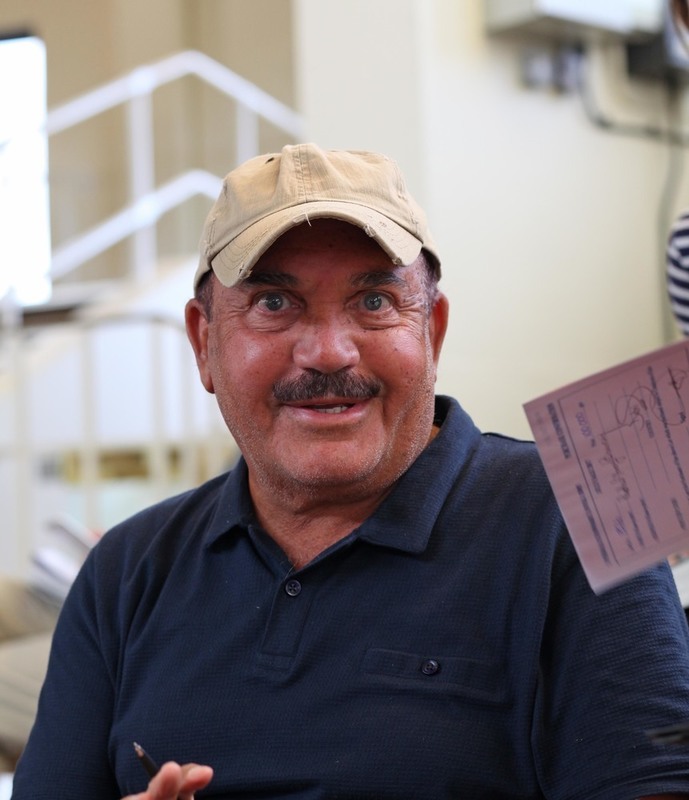 "She's been bought by Saeed Manana to join the Rabbah Bloodstock broodmare band," said James Tate of the three-year-old who was sold as a broodmare prospect. "It's a beautiful page and we look forward to finding a cover for her next year." Impala is one of 13 foals out of Imbabala, a Zafonic daughter of 1,000 Guineas third Interval. Last year's Redcar Two-year-old Trophy winner Wick Powell sells out of David Barron's yard to continue his career in Singapore. Elite Bloodstock Singapore paid 70,000gns for the Sakhee's Secret three-year-old, a consistent type who has also won on the all-weather at Newcastle and Southwell and run second to Orewa in the Tattersalls Ireland Super Auction Stakes. Plans call for the colt to be shipped immediately to Singapore where he will be gelded. However, a trainer has yet to be confirmed. The first horse through Tattersalls from the Ballymacoll dispersal, Arab Spring sells for 100,000gns to continue his career in Dubai for Rashid Bouresly. Matt Houldsworth was among the underbidders. The son of Monsun - evidently quite a character judging by his behaviour on the sale grounds - has been a real stalwart of Sir Michael Stoute's yard in recent years, winning six races including the John Porter and September Stakes. He also descends from one of Ballymacoll's best families as a half-brother to Australian Group 1 winner Glass Harmonium and relation to Conduit. "He'll race for the Bouresly Racing Syndicate and the Dubai Carnival is the big aim," said Bouresly, who has a stable of 60 horses. "He'll have a rest and then we'll build him back up. And then he can become a stallion down the road." 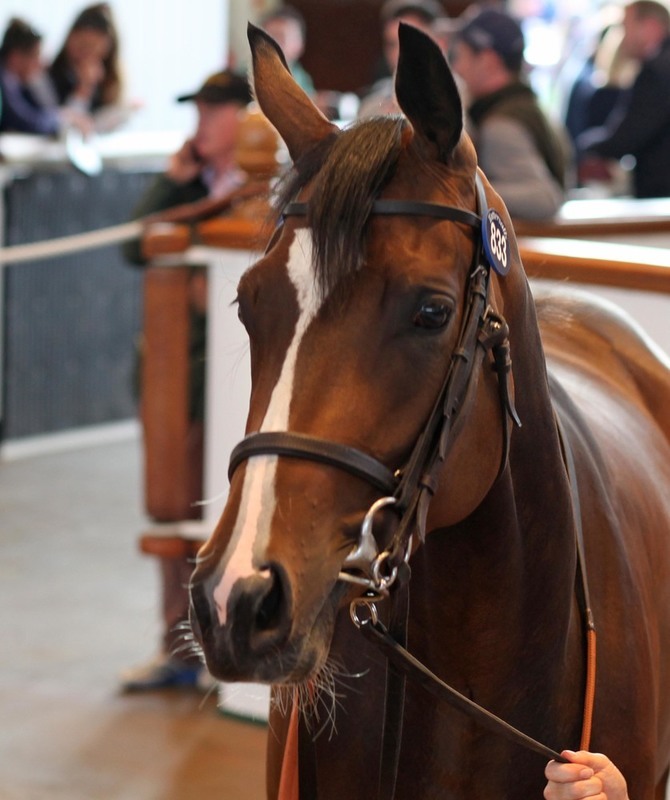 This regally-bred daughter of Galileo becomes the new top lot of the entire sale so far, selling to Saeed Manana, signing as Rabbah Bloodstock, for 330,000gns. Manana and Grassick clashed earlier today on Impala and it was the same story with this filly, with Grassick giving way only late on. Sydney-based Andrew Williams was also among the underbidders. The filly is a sister to Munster Oaks winner Pretty Perfect and out of Australian Group 3 winner Milanova, herself a sister to Holy Roman Emperor. Her third dam is none other than Fanfreluche. Asanta Ana was bred in Ireland by the 'Milanova Syndicate' but raced for 'Andy Smith and friends'. She has been placed fourth on both her starts. "We will try and win a race with her," said James Tate, "and then she will join Saeed's broodmare band. She will come straight back to us and we will ready her for a race in the autumn." Plans call for this John Gosden-trained gelding, who ran sixth behind Ribchester in last year's Jersey Stakes, to race in Hong Kong after selling to Greg Chung of Linden Lodge Bloodstock for 105,000gns. The Kyllachy four-year-old won his first two races last season, including a 20-runner handicap at York, and came into the sale with an official rating of 100. 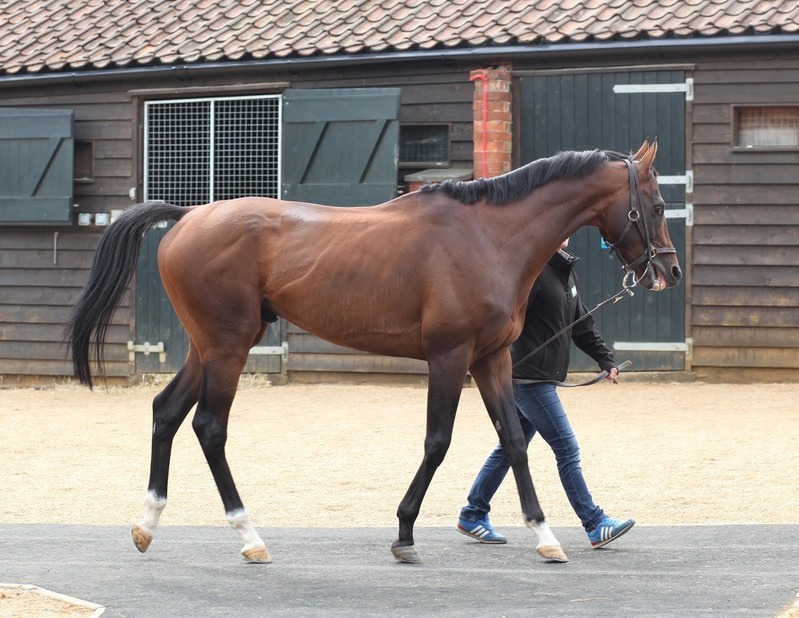 "He's highly rated and for a four-year-old he hasn't got much mileage," said Chung. "He vetted good. He'll ship directly to Hong Kong with the others we bought." Jassim Al Ghazali continues a busy week with the purchase of recent Bellewstown winner Allography for 185,000gns. A tough colt, he hasn't finished out of the first three for Michael Halford this season and only last week landed his third race, a mile handicap at Bellewstown, at the expense of Old Time Waltz. A remarkable trade - as someone remarked yesterday, if it had three legs, they'd still buy it.